If the original Academical Village offers a portrait of constancy across the University of Virginia’s first 200 years, the rest of Grounds might fairly be described as a scene of perpetual motion. This week’s Board of Visitors meeting underscored that movement, as the governing board advanced plans for projects that will touch nearly every corner of University life. They ranged from the Alderman Library project to Brandon Avenue upper-class housing, from Fontaine Research Park to the Athletics Master Plan. UVA’s Elson Student Health Center is a fully accredited health care facility for students, offering an expanding set of services that includes general medicine, counseling and psychological services, health promotion and a student disability access center. 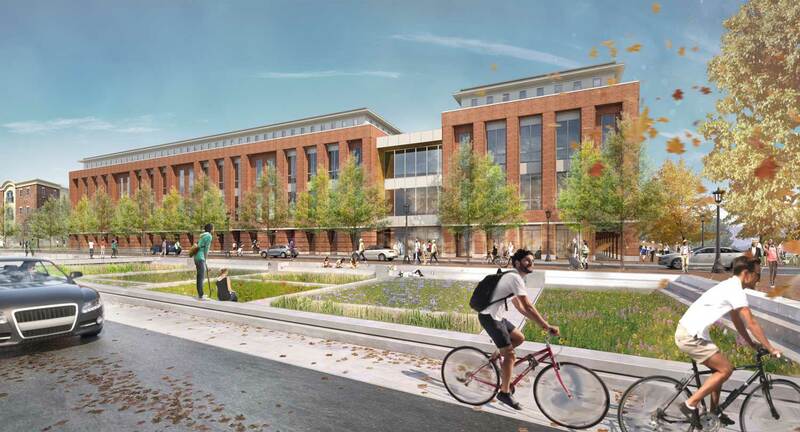 Experiencing significant growth driven by an emphasis on a “whole-student approach” to care that includes physical, psychological and social well-being, the University plans a modern facility to serve student health needs into UVA’s third century. The new, three-story Student Health and Wellness Center will have its primary entrance on Brandon Avenue, with two levels of parking under the building to be accessed from Monroe Lane. As part of the project, the Curry School of Education’s Kinesiology Department will relocate from the Memorial Gymnasium to the new facility. The renovation will bring Alderman Library – first dedicated in 1938 – up to contemporary standards of safety, accessibility, usability and service, and calls for a new entrance from University Avenue. 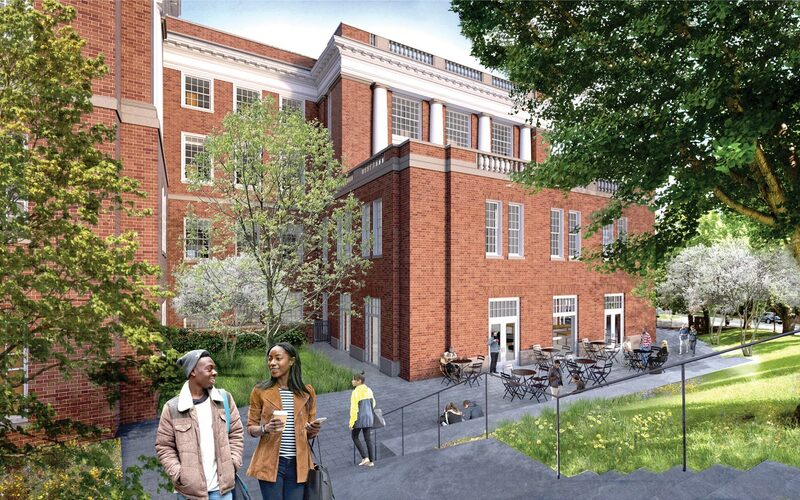 Alice Raucher, architect for the University, said the new north entrance would create a sense of arrival from the Ivy Corridor, improve connectivity and accessibility for all users, provide a seamless connection to Clemons Library and improve access in Alderman. The project includes an addition to the current structure, with the design turning the existing light wells into gathering and study spaces. Work on Alderman’s south façade will be limited to restoration and to the addition of two new entry doors flanking the existing doors. The new softball stadium will be situated on what is currently a grass practice field at the southwest corner of Massie and Copeley roads, adjacent to Lannigan Field and Klöckner Stadium. 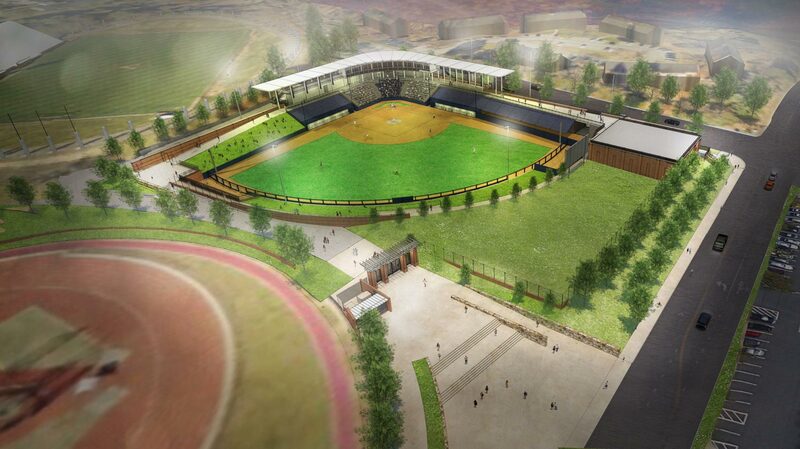 The ballpark will include an indoor hitting facility, home team locker room, meeting area, sports medicine room, bullpens, field maintenance and coaches’ offices. A new press box, located above the concourse, will accommodate the public address and scoreboard system, replay booth and spaces for media.